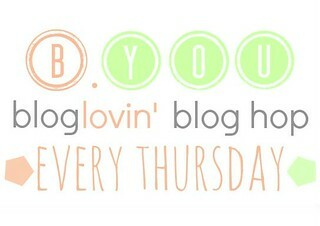 Welcome to the first week of B.You's bloglovin' blog hop! Link up your bloglovin' URL only. Hi from the Bloglovin hop...your profile photo is adorable! I love the way he is looking at you...Following you via GFC and Bloglovin. Thanks for co-hosting! I love B.You and now following you as well! I love your Blog! Really very sweet blog and thanks for your informative post.